Carlos Alpha Moon became known as “Shiney” during his one year at Alabama Polytechnic Institute, now Auburn University, while playing a banjo during a band performance. 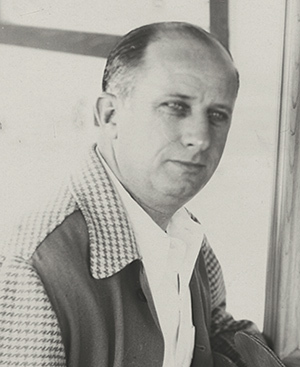 He was born in Birmingham in 1906, raised in Andalusia, took up the family business of photography in Troy and moved to Florala to take over operation of Pouncey’s, his wife’s family’s ladies ready-to-wear business. He later added three locations in North Florida and soon became quite a successful merchant. With his business operating smoothly, Shiney had time to pursue hobbies. 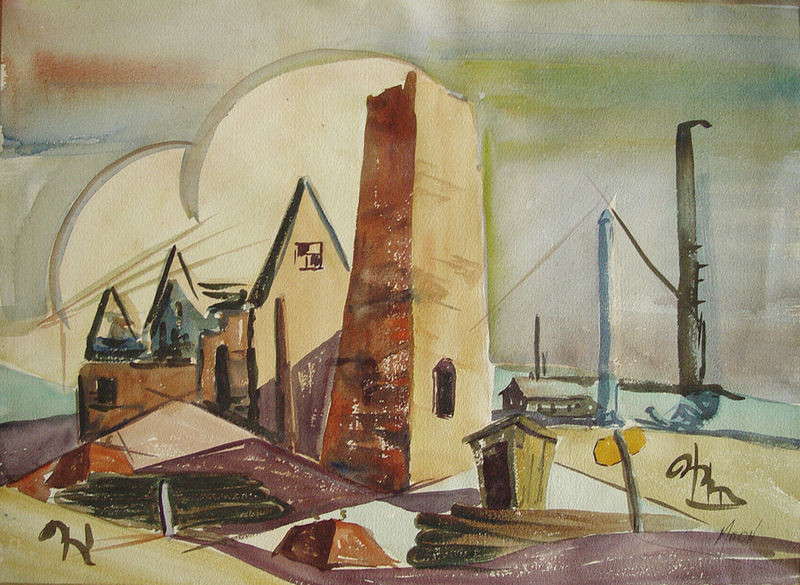 He discovered his aptitude for art in 1943 when daughter Martha Moon (Kracke) grew tired of her oil painting set. 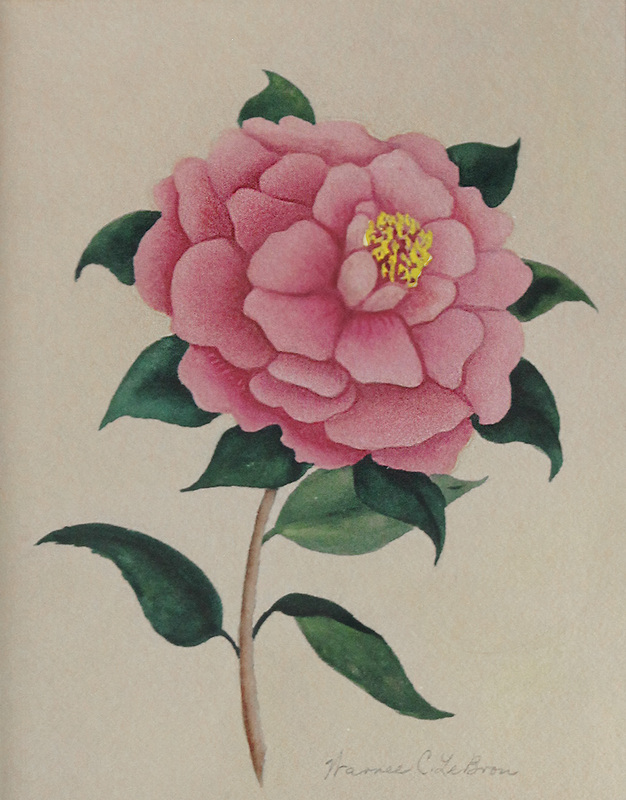 Moon painted his first painting to encourage Martha to revive her interest. 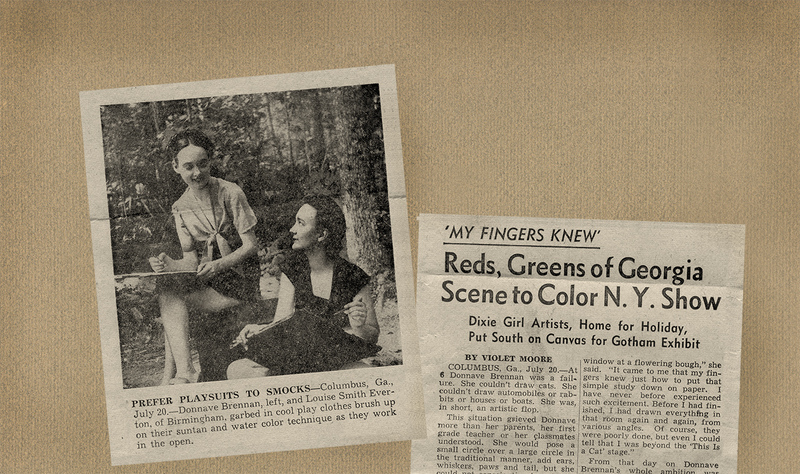 Later that year, Shiney and family dropped in at the Dixie Art Colony that he had read about in a newspaper article. He and Kelly Fitzpatrick immediately connected and became fast friends. 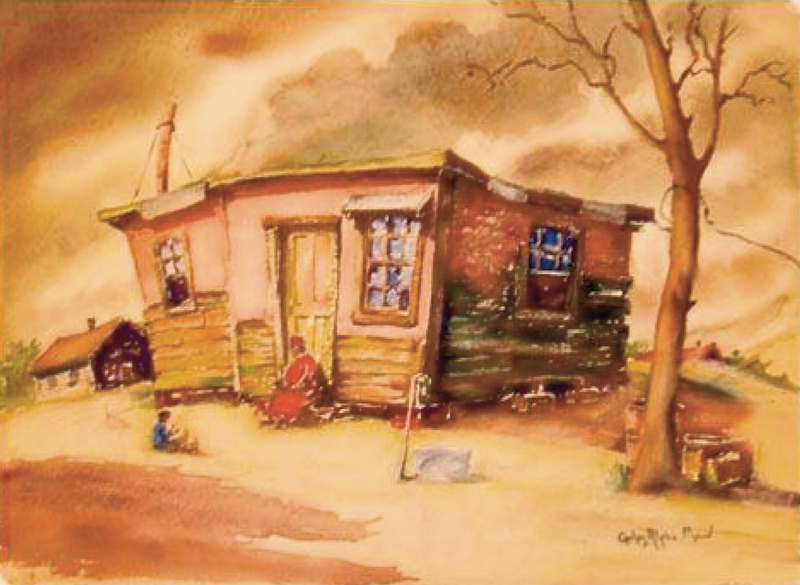 Moon began attending the Dixie Art Colony in 1944, often accompanied by his daughter Martha. 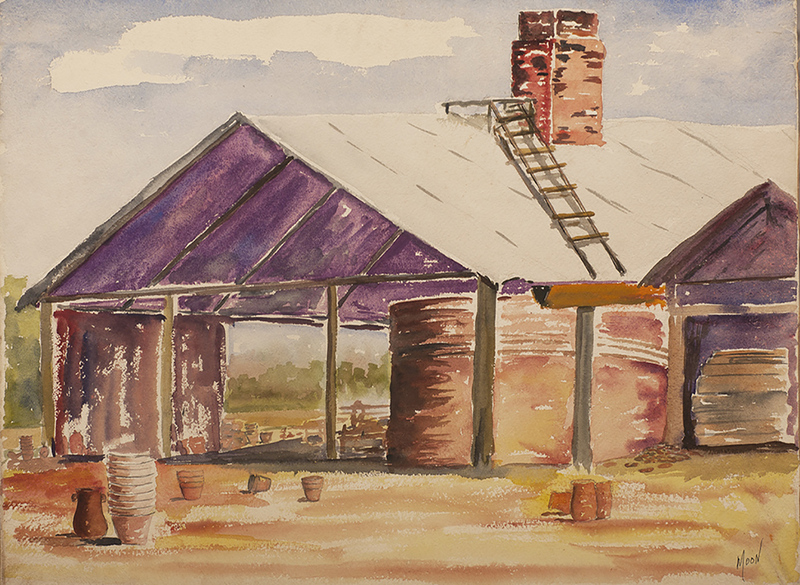 He painted in oil until 1946, often focusing on vernacular architecture. 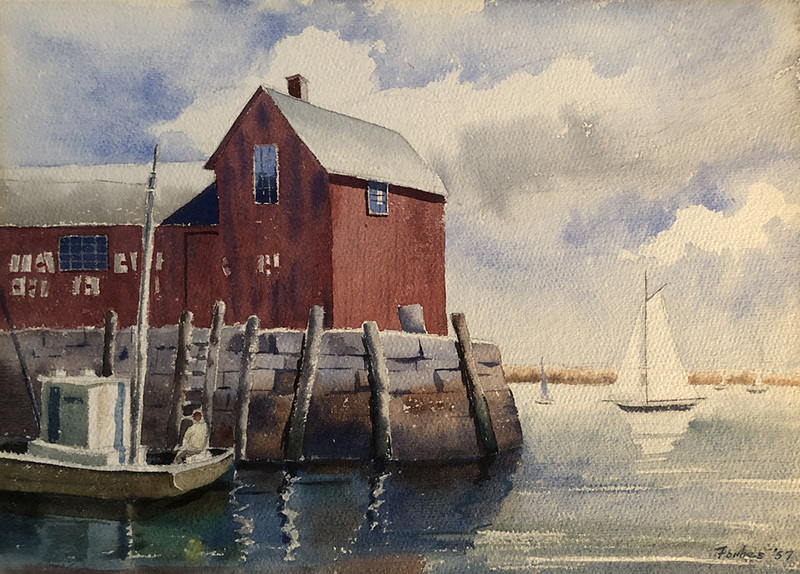 In 1946, Moon studied with Morris Davidson in Provincetown, MA and began to paint primarily in watercolors. 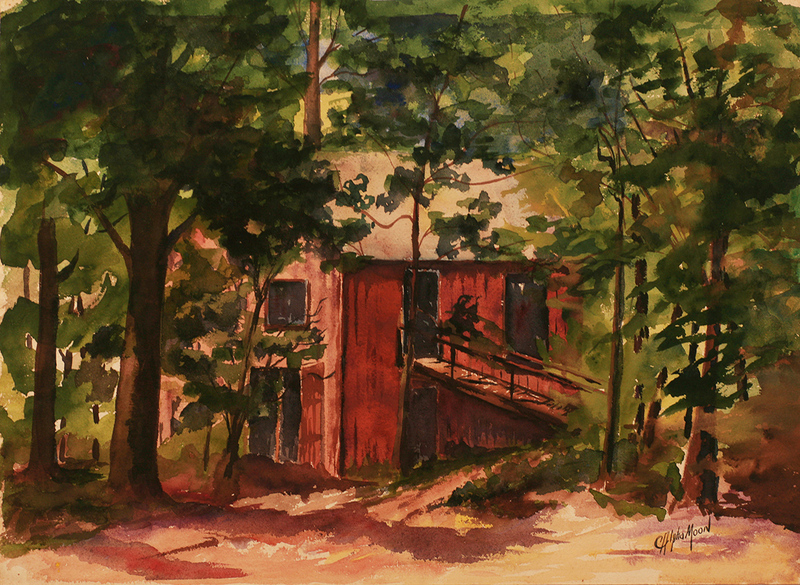 He had his first one-man show, composed entirely of oil paintings, at the Montgomery Museum of Fine Arts. He also began attending another colony led by Genevieve Southerland in Bayou La Batre. 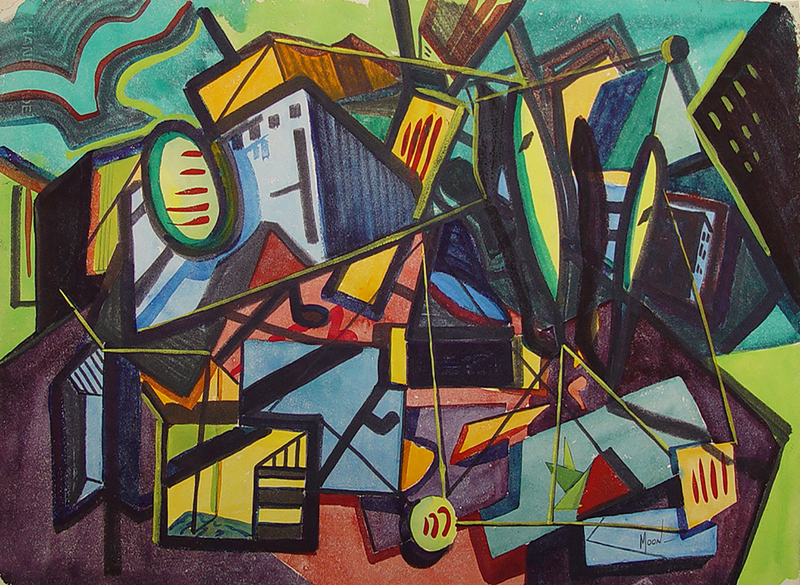 Most of Moon's later works are more abstract in nature and a testament to the influence of Morris Davidson, who was well known for abstraction. Most consider Moon's later works to be his best. 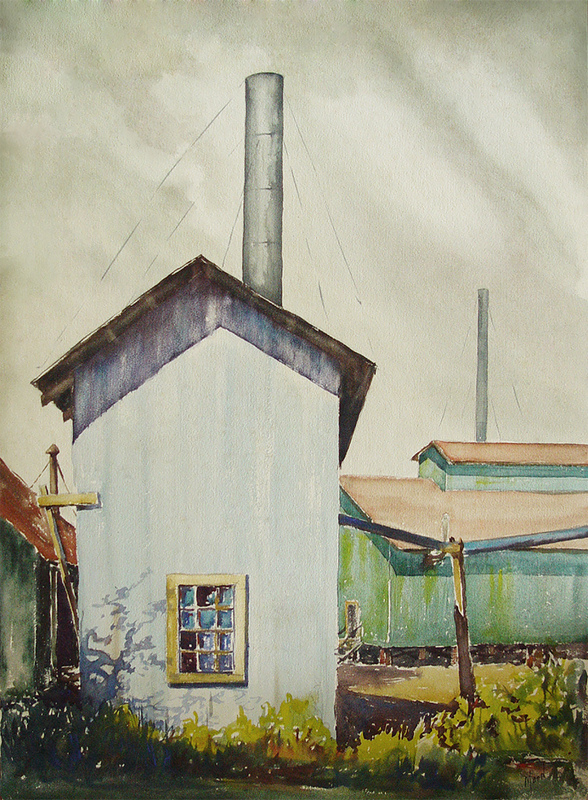 He painted tirelessly while continuing business, civic and other hobby interests. It was almost as if he knew his time was short. He died suddenly of a heart attack in July of 1953 at the age of 47. Ironically, mentors Kelly Fitzpatrick and Genevieve Southerland preceded him in death in April and June of the same year.